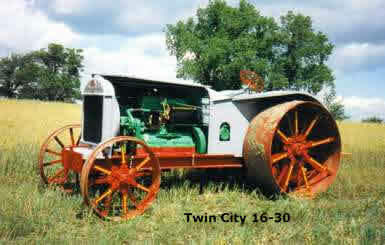 When this tractor was introduced in 1917, the move towards smaller tractors by several manufactures was well under way. 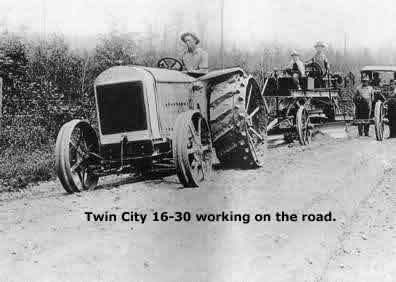 Weighing less than 8,000 pounds and looking like a sports car as much as a tractor, this machine really stood out. 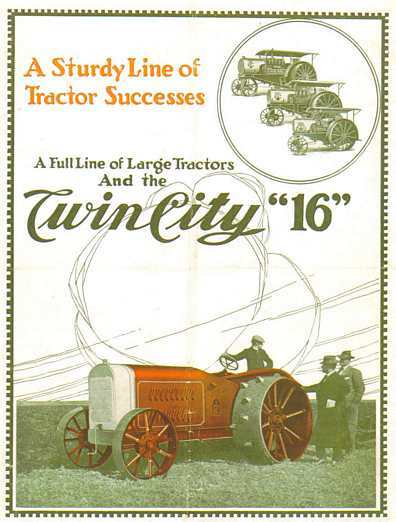 Advertizing touted the new “16" as “dust proof” by incorporating an inclosed transmission behind the engine and large metal covers for final drives. A 589ci. 5 x 71/2 flathead engine running at 650 rpm powered two forward speeds. Early production 16-30's used a large tubular style radiator and later efforts were a smaller core type construction. Hyatt roller bearings show up on this machine in favor of the bronze/babbitt type of previous years. The low profile 16-30 was an attractive design, however, it was still based on the old school channel frame with pinion and bull gear final drives. 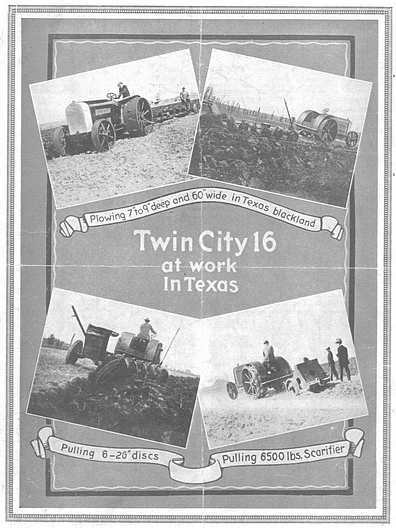 The demands of World War 1 forced MS&MC to abandon tractor manufacturing contracts for other companies in favor of new war material contracts. 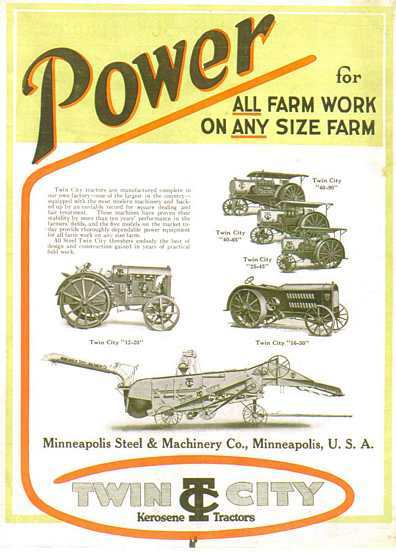 Efforts were made to maintain production of the heavyweights and military munitions along with development of advanced designs in the trend toward smaller farm tractors. 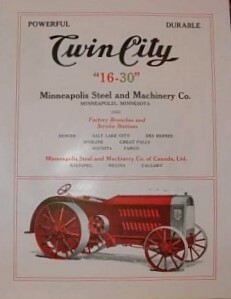 By 1920 the 16-30 had vanished from the companies listings. 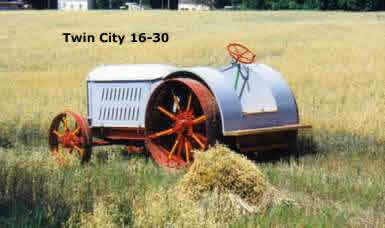 There are six of these tractors in the US and three in Canada totaling nine known survivors.